In a large saucepan, bring rice milk, vanilla bean pods, cinnamon stick, and agave syrup to a boil. Pour rice milk into a large bowl. Discard vanilla bean pods and cinnamon stick. Add chia seeds and allow to soak for approx. 15 – 20 min. 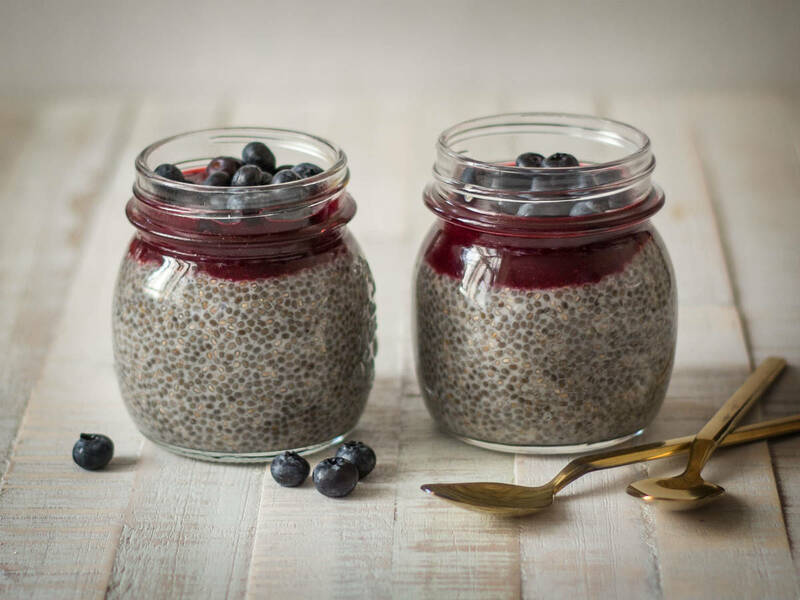 Spoon chia pudding into jars for serving. Add frozen strawberries and lemon juice to a small saucepan. Bring to a boil over medium heat and cook for approx. 5 min. Purée berry sauce and pass through a fine sieve. Spoon a thin layer of berry sauce on top of pudding. Garnish pudding with fresh blueberries. Enjoy!